One of the most exciting aspects of landscape design is the opportunity to take advantage of the specific features of your particular plot of land. 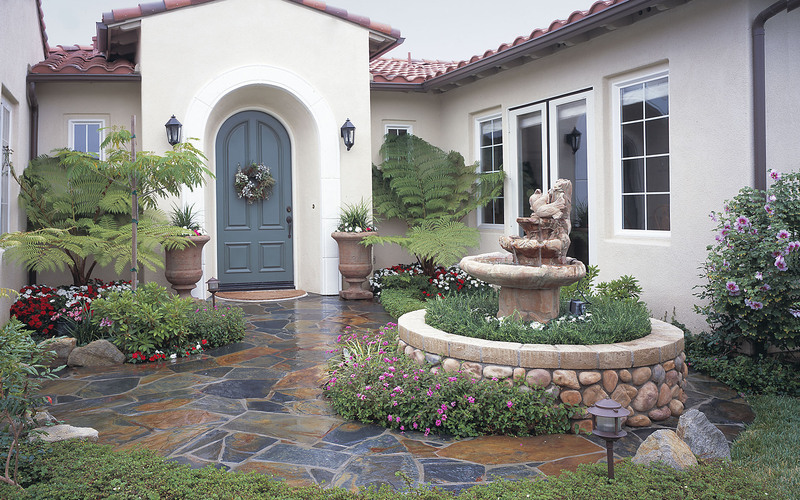 At Paradise Designs, we have spent decades honing our craft so we can ensure that we give our clients the best design advice for a yard that can be enjoyed for years to come. When we visit your property, our designers will discuss your needs and assess the highlights and challenges of your particular home site. If you have a beautiful view of the ocean, a canyon view or a sunset view we can orient design features to accentuate that major focal point. Just like with the inside of our homes, most of our clients need help organizing their outdoor concepts into the most functional spaces they can achieve. We want to help you take full advantage of that opportunities your yard has to offer. Each property is unique and we can help play to the strengths of those unique features. Incorporating areas of warmth and light and cool shade spaces; spaces for activity and play, and spaces for calm; calming water elements and warming fire elements; cooking and eating areas; elements to enhance views or strengthen privacy. Some homes have large side yards and others have small ones. We have seen many of both and enjoy the challenge of taking advantage of those spaces by designing bocci ball courts, full seating areas with gazebos or simply a beautiful walking path that ties both the front and back yards together. With scores of completed landscape designs under our belts, we have solved many of the same problems your particular plot may present. Retaining walls, firepits, traditional gardens or sustainable and water conscious landscapes, we have installed them and can give you a design that will not only please your eyes but one that can be built to your constraints and function beautifully as well. Chances are, we have solved similar design and construction issues. Whether you have a grand dream or a simple one for you yard, we want to help turn that dream into your paradise. All or just a few of these elements can greatly improve the functionality and the enjoyment of your living spaces and increase the value of your home. So, don’t hesitate with questions by emailing or calling Paradise Designs Inc today.